MANSION IN THE SKY!!! 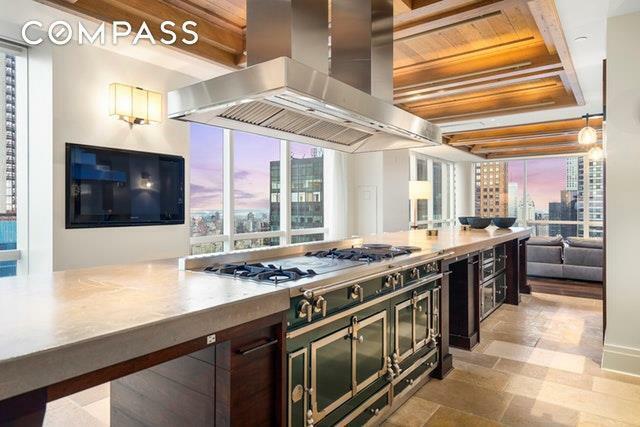 This luxurious full-floor 8,000 square foot six-bedroom apartment is located on the entire 64th floor of the prestigious Park Imperial condominium with 360-degree, panoramic views of Central Park, the Hudson River, and New York City. The finest materials have been incorporated into the apartment's creation including silk, leather, wood wall panels, wide hand-hewn plank floors, hand-chiseled stone slabs, maple-paneled ceilings, and central controls for lighting, shades, and the home entertainment system.The home has a gracious floorplan that flows seamlessly from one room to another, including the palatial living, dining and kitchen areas, a beautiful wood-paneled study and adjacent library, butler's pantry and six large bedrooms with ensuite baths each fitted with heated stone slab floors. Life in this apartment revolves around its fabulous kitchen crowned with its culinary masterpiece, a La Cornue Chateau range with a bank of matching storage drawers. There are two Sub-Zero refrigerators in the main kitchen space, as well as an additional Sub-Zero refrigerator and Sub-Zero wine fridge in the butler's pantry. 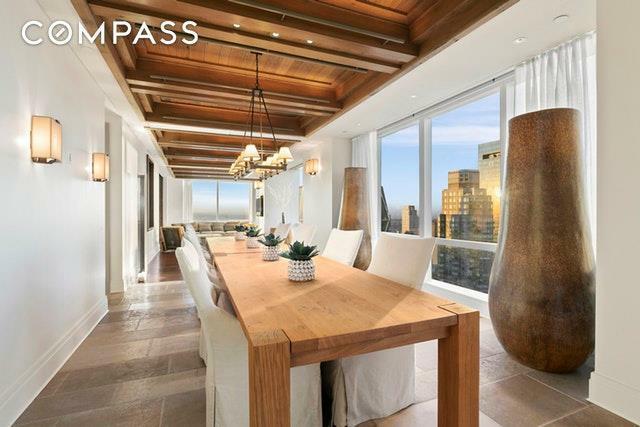 The living room and entertainment area, with floor-to-ceiling windows, has 100 feet of breathtaking Central Park, City and River views. The enormous master bedroom suite features spacious his and hers dressing rooms with hand-woven silk inlaid carpets, and a master spa featuring fossil-filled Jerusalem Marble stone walls, an oversized sauna, warmed stone-slab floors, his and hers private toilet areas, an enormous all-glass shower and a relaxing whirlpool tub. The apartment was designed by Rome Prize-winning architect Frederic Schwartz, and interiors were designed by Ray Booth of design firm McAlpine, who has been featured widely by publications such as Architectural Digest and Elle Decor. 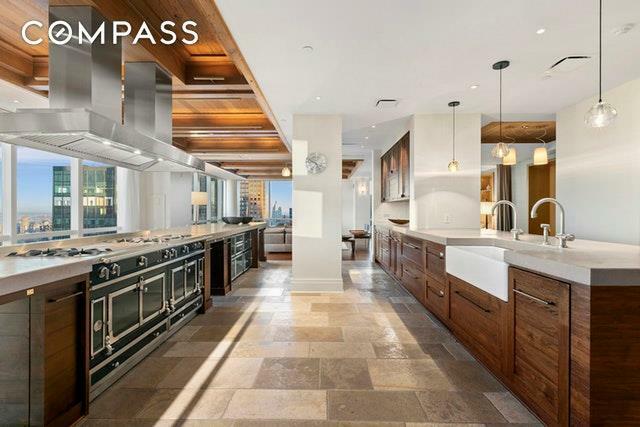 The Park Imperial is a pet-friendly building that includes wonderful amenities: a 24-hour doorman, white-glove concierge service, state-of-the-art fitness center, private resident lounge and business center. This special space must be experienced to be fully appreciated. Shown by appointment only, please contact us to set up a private viewing. 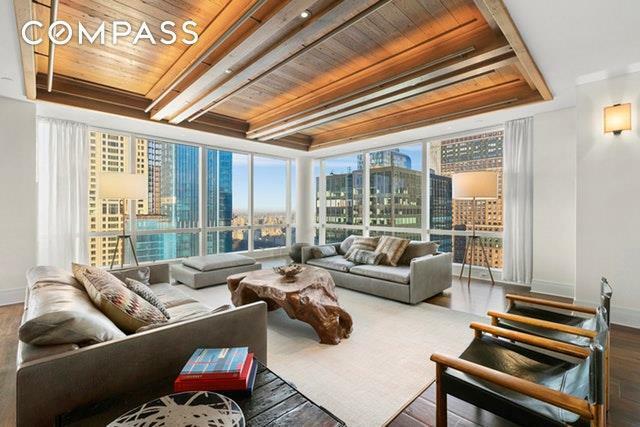 Listing courtesy of Harry Diorio of Compass.